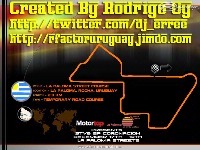 Located in La Paloma, most important atlantic Beach zone in Uruguay, the La Paloma street course is the last round of the STV6 and Formula Chevrolet Championships. 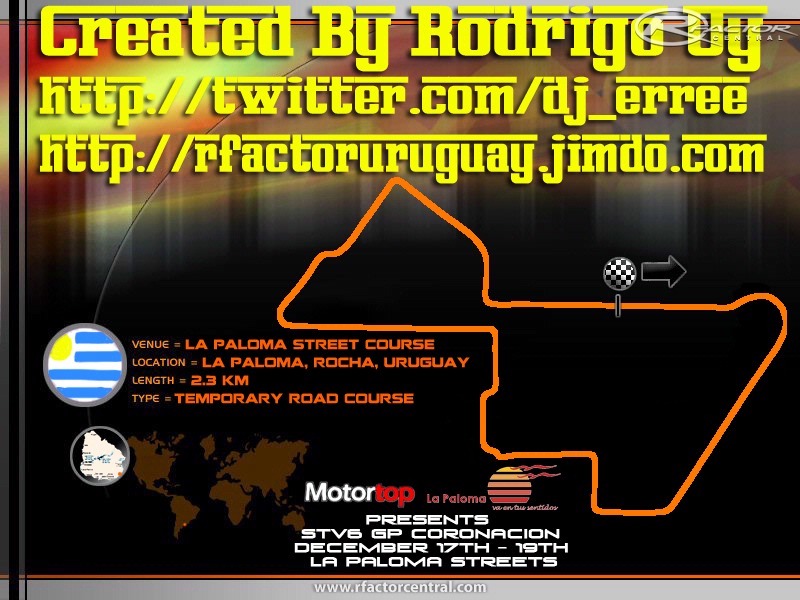 This year the track is concentrated in the west zone of the city, so the lenght and the form of the circuit changes. About the new track, the 2010 specifications have a fastest circuit with more overtaking points, a most open shape but the little width of the street course make this years track as a very challenge mix of speed and danger. There are currently no setups for La Paloma Street Course 2010. Add a Setup.